PWM - motivationWhy I’m getting PWM Sport Active! — phenomenal livingWhy I’m getting PWM Sport Active! phenomenal woman Why I’m getting PWM Sport Active! Kerys Nathan Why I’m getting PWM Sport Active! lifestyle and culture Why I’m getting PWM Sport Active! motivational speaker Why I’m getting PWM Sport Active! the soul factor Why I’m getting PWM Sport Active! live a life that serves you Why I’m getting PWM Sport Active! international women Why I’m getting PWM Sport Active! woman Why I’m getting PWM Sport Active! women Why I’m getting PWM Sport Active! womens motivation Why I’m getting PWM Sport Active! events for women Why I’m getting PWM Sport Active! courses for women Why I’m getting PWM Sport Active! 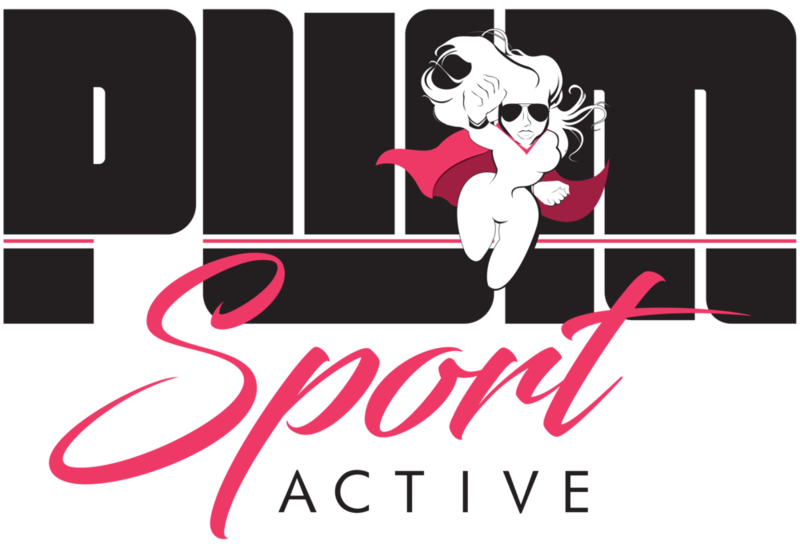 charity for women Why I’m getting PWM Sport Active! business enterprise Why I’m getting PWM Sport Active! women businesses Why I’m getting PWM Sport Active! entrepreneur Why I’m getting PWM Sport Active! female entrepreneurs Why I’m getting PWM Sport Active! Phenomenal woman book Why I’m getting PWM Sport Active! michael jackson choreographer Why I’m getting PWM Sport Active! Thriller live director Why I’m getting PWM Sport Active! glamour Why I’m getting PWM Sport Active! women magazine Why I’m getting PWM Sport Active! lifestyle and culture magazine Why I’m getting PWM Sport Active! self help Why I’m getting PWM Sport Active! personal growth Why I’m getting PWM Sport Active! fashion Why I’m getting PWM Sport Active! skincare Why I’m getting PWM Sport Active! Why I’m getting PWM Sport Active! Five years ago I lost the love of my life, so I decided to save my tears, pull up my big girl pants and write a book! (Phenomenal Woman) As you do! Then three years ago, I got seriously sick with not one, but two tumours and two different diseases at the same time. (Well two’s company as they say!) Thankfully, due to a life saving operation by a very handsome and superbly talented surgeon (lucky me!) I survived and am now here to share not only my story, but can indulge my future dreams as well. I am just over a year illness free and it feels totally Phenomenal! There really are no words for this feeling. However, this time, as I transcend the tedium that is trauma, I’ve decided to go on another phenomenal mission and extend my brand, by launching PWM Sport Active! I guess there really is something truly meaningful about surviving traumatic situations and growing into your greater self. Works for me! Looking back, I am so grateful to have been forced to do so, because it has forced me to power up and has given me the lifestyle that I now choose to live for the rest of my life! As I always say here on the PWM website - Live a life that serves you! So, I am grateful and super excited to now be expanding my business and most of all to be well enough to actually do so! I am also once again able to continue with my longterm plan of bringing the World another incredible Production! It’s been a long time since I co-created, directed and choreographed the West End hit show Thriller Live, but difficult times invariably get in the way and have you retreat from the World for a while! This time round though, as director, choreographer AND producer (I must be crazy) with an all female and celebrity cast, will be my biggest feat and production to date! - The ultimate feel good show, ‘Phenomenal Woman!’ - We are all seriously tripping over ourselves to get this party started! It’s gonna be immense! It certainly is a phenomenal time right now, but losing so much of what you love and being sick with life threatening diseases and deteriorating for so many years on top, certainly woke me up to a major life reality! I discovered two fundamental life lessons - Firstly that absolutely no-one was coming to save me and secondly, that if I wanted to succeed at anything at all, I had to really become my own superhero and do it all by myself! I also realised that if you don’t life live on your own terms (and stop building other peoples goals for no reward!) or if you don’t push yourself to reach your full potential, then you are simply wasting your time and the value that you actually have to bring to the World. So after dealing with the crippling pain and the trauma that loss and severe illness invariably bring, I decided that allowing the depression of it all to consume me was not an option. I wasn’t going out like that. That was certainly not Phenomenal! So, this time round, after a year of gentle recovery and I guess a lot of chillin,’ I’ve decided to go on yet another mission and become my greater self! Again! but not just for me, for everyone - Hence the reason Phenomenal Woman Mission was originally born! (2014). Anyone living with disease knows how hard it is. You go through your own hell, but of course once you’re cured, everyone who had been watching from the sidelines of your demise, is quick to cheer you on once again and say, ‘See I told you you’d be alright!’ If I had a dollar for every time I heard this! It’s truly not a helpful comment! and just waiting around for sick people to get better is not helping them! (Food for thought next time someone you know is seriously ill! - Be PRESENT!). However, what many don’t realise, is that the journey actually doesn’t end there! Because now, you are completely mentally and physically drained, weakened, depleted, confused and so on. And in my case, almost 3 stone heavier! - and belly fat is not so easy to shift I have discovered! So whilst the doctors, fantastic surgeons and the after care at the hospital took me up to my official ‘You are now healed’ day and I was signed off the critical list, deep down inside, my organs were permanently damaged and I was still very much broken and lost. You see when you have been sick for that long, your mind and mental stability changes dramatically and the world becomes a very different and mostly a seriously scary place. I literally felt like I had just been released from prison after years and was going to have to learn to re-adjust to the outside World all over again. Alone! The symptoms of my disease caused me to forget whole chunks of my life (I still have no memory of many things now) black outs, dizzy spells, fear of the outside and loud noises and severe suicidal depression! (I am actually surprised I am still here). Thanks be to my family that checked in on me daily to make sure I was still around! Yes, it was that bad at times. Building back up to mental and physical strength hasn’t been easy and motivation of the gentle kind has been much required. I thank those that rode this bumpy ride with me from the bottom of my heart! My family! So, last summer, I chose to slap on a brave face for the first time, pull my shoulders back and head on out into the World again regardless! All by myself. Thankfully my stage school training kicked in and helped me to pretend I was ok! When really, I wasn’t. However, when you ‘choose’ to focus positively and fully on what makes you happy, a major shift occurs in the fabric of your existence. It certainly worked that way for me! I now have an abundance of new friends, activities and business to attend to and it feels Phenomenal! I’m almost back to me and now to aid my recovery even further, I’ve decided to get super-fit once again (I miss my dancers 6 pack!). I guess that’s why I designed myself some motivation in the form of PWM Sport Active! I will also continue to help others on their own personal journey too, therefore, all PWM products and services are designed to motivate, educate and inspire, but also to raise awareness and funds for the various charities I hold close to my heart. You see life should not be about having to ‘cope’ with the punches, or putting up with a second rate life! My wish and my WHY is to encourage everyone to elevate themselves to a higher level - for when you motivate yourself to be better, only then do you have the ability to inspire others to do the same - and that’s when life takes on new meaning and real change happens! If I can help in even some small way to lift another person out of the shadows of doubt and into the sunshine of their potential, then that’s the mission I am absolutely going to take! This is my goal! This is my passion! This is my WHY! And I urge each and everyone of you to go on your own mission today too? Whatever that may mean for you. Use whatever positive tools fuel you and simply give yourself permission to become your greatest self! Stay Phenomenal and Live a life that serves you. Phenomenal Woman Mission (the website, the products and services) is here to help you maintain and motivate strength of mind, (the book) the body (the sports wear) and the soul (the show). My wish, is that PWM will become a reminder for you all to power up, become your greater selves and live a life that serves you and others! So, when you are in need of a little positive injection, please do stop by and remind yourself that you are super-phenomenal too.